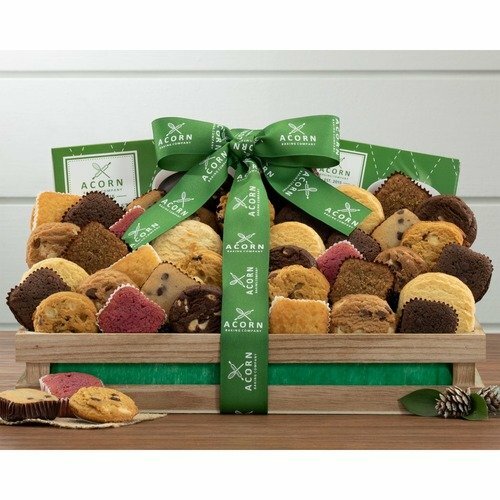 This delightful assortment arrives with Don Francisco French roast ground coffee and sweet premium hot cocoa to pair beautifully with Acorn Baking Company's soft and chewy assorted cookies and brownies. 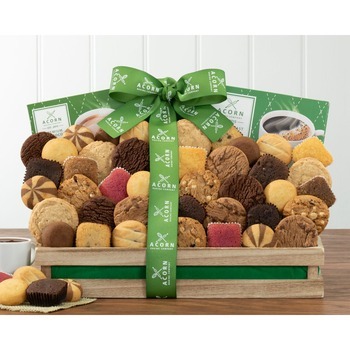 Classic flavors include chocolate chip, peanut butter, sugar, double chocolate and fudge nut. All the favorites are here to savor over a cup of coffee or hot cocoa. A great gift for friends, coworkers and teachers. * The arrangement was amazing my aunt was over the moon with it I will definitely recommend this company to anyone buying flowers thank you.